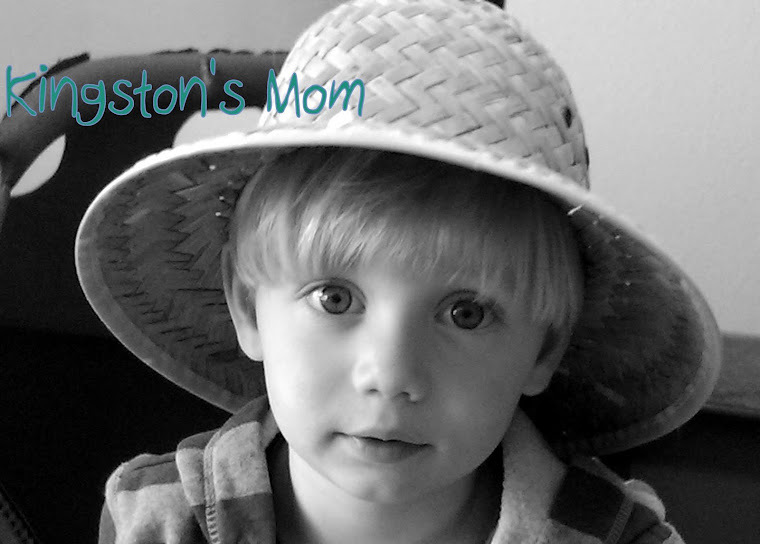 Kingston's Mom: A Child at Play! A local girl that is a member of Mommy and Me has created a non-profit organization that is dedicated to organized and free play for children ages 7 and under called Children at Play. She is currently looking for a location to permanently house the play area but since real estate is expensive and hard to come by for a not-for-profit, she is holding open houses in various locations just to get the word out. Think The Little Gym, My Gym, or Gymboree, only without the corporate/franchise financing. I really hope she finds a location and can get the funding to get it started. It will be a great addition to our area. Having said all that. . .
Kingston, Nana and I went to the Children at Play open house this morning for some indoor, warm playtime. It was so fun! Kingston really enjoyed playing in the aquarium ball pit. He even figured out how to get in and out by himself! Kingston really liked to drive the cars, too. He could only go backwards, his hair was sticking straight up because of static, and he fell through the bottom a few times! Good times. Shopping at the store was fun, too. The best pictures came from the tunnel! It took him a minute to decide that it was safe to crawl through but once he figured it out, he had a big time! I love the idea of a place to play when the weather does not allow you to go outside. I really hope Alyssa finds a good place to set up the gym permanently. I would really enjoy taking Kingston to something like this on a regular basis. He really had fun and so did Nana and I! We are hoping for nice weather tomorrow. The weather man says it will be in the 60's. I'd love to see it. Super cute and super fun for him I am sure. Wouldn't it be fun to have an adult size ball bouncy thing? Too cute, great pics!